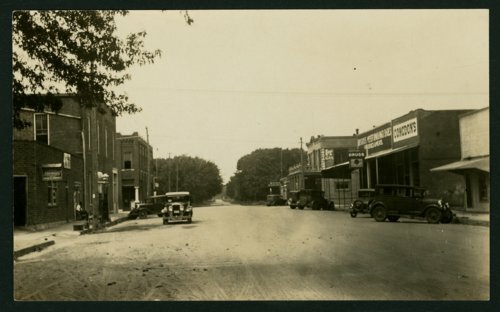 This is a postcard view showing one block east of Ohio Street looking west on Main Street in Mount Hope, Kansas. Concdon's Drug Store and the hotel are on the right, and the First National Bank is on the far left. Automobiles are visible on the street.